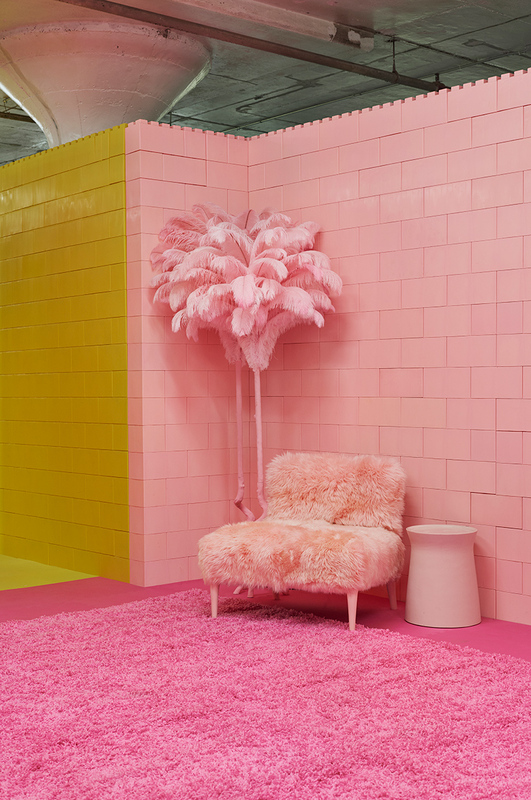 a 22,000 square foot industrial space in brooklyn has been re-conceived as an all-encompassing colorscape. 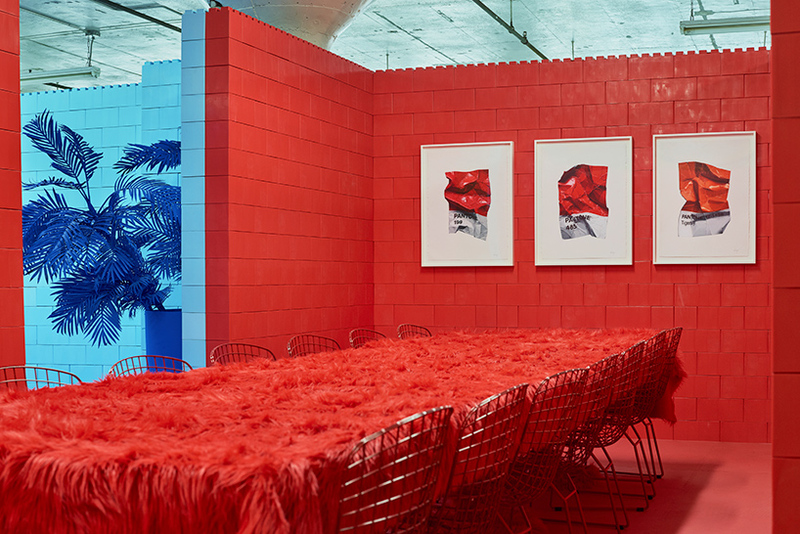 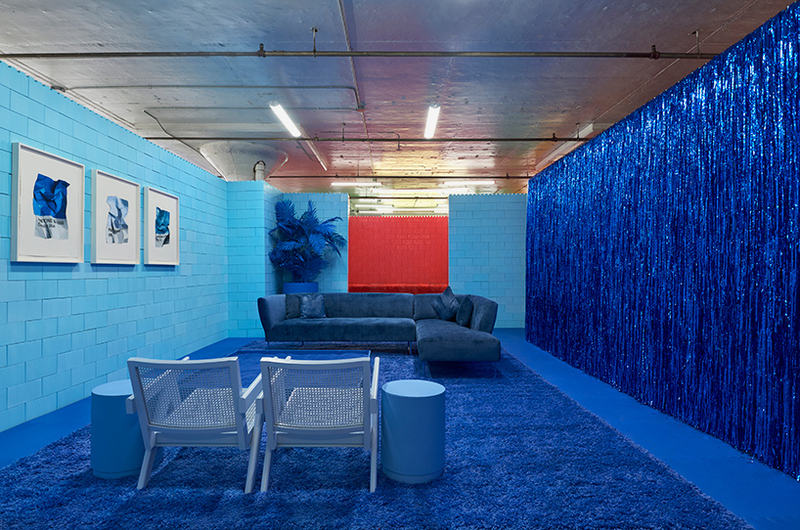 divided across seven distinct rooms, new york-based artist CJ hendry has envisioned ‘MONOCHROME’ as a walk-through tableau of vivid tones and tints, with each color corresponding to the art hanging on the walls. 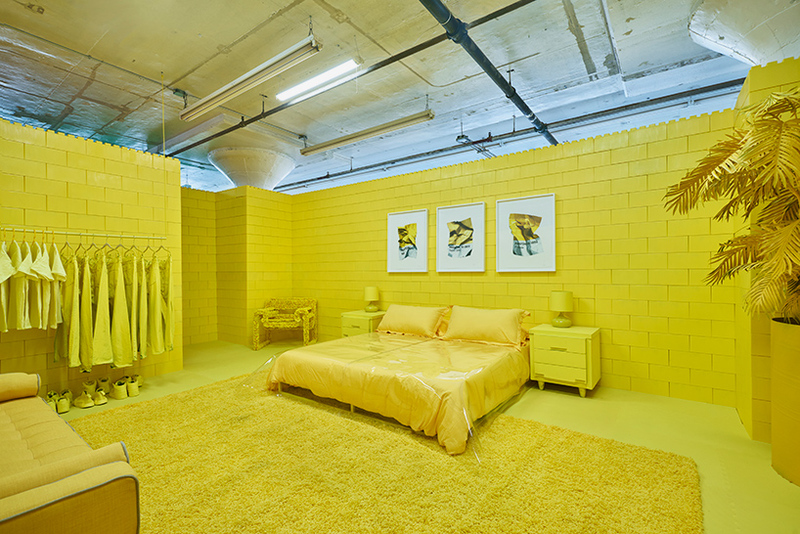 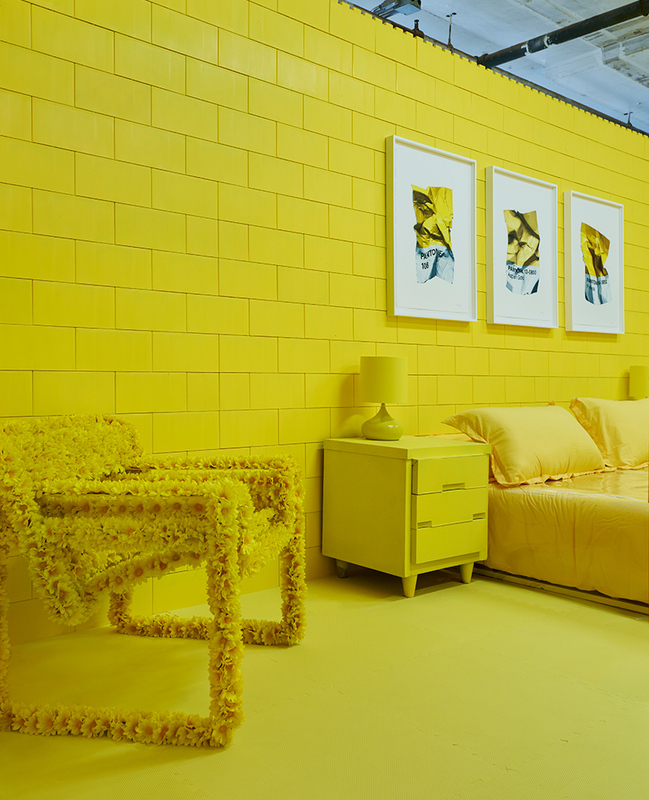 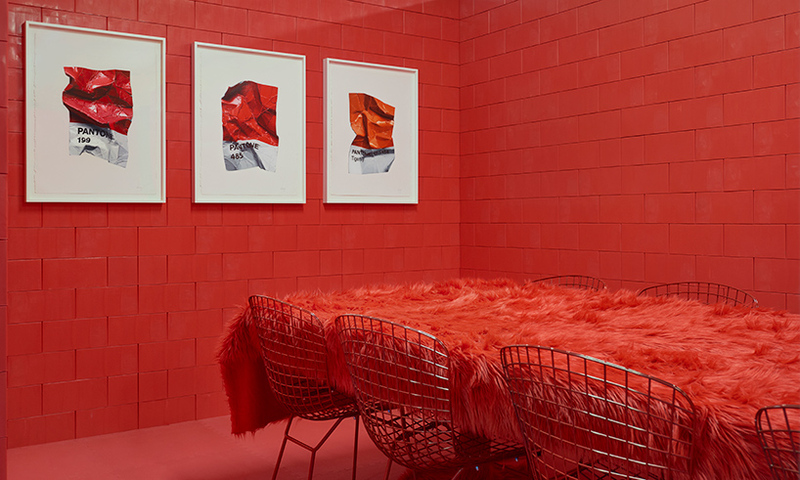 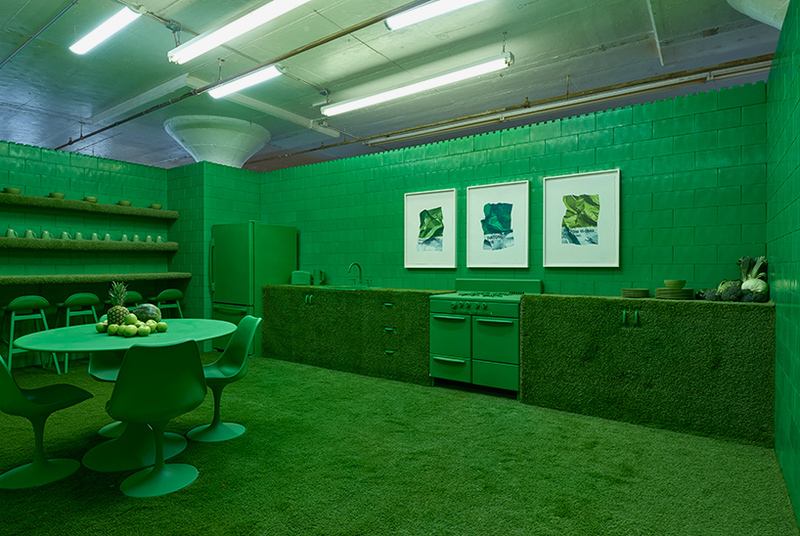 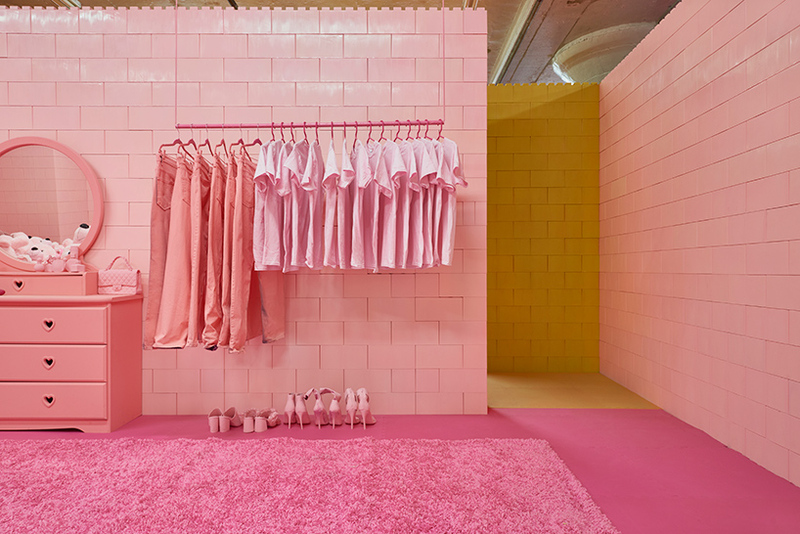 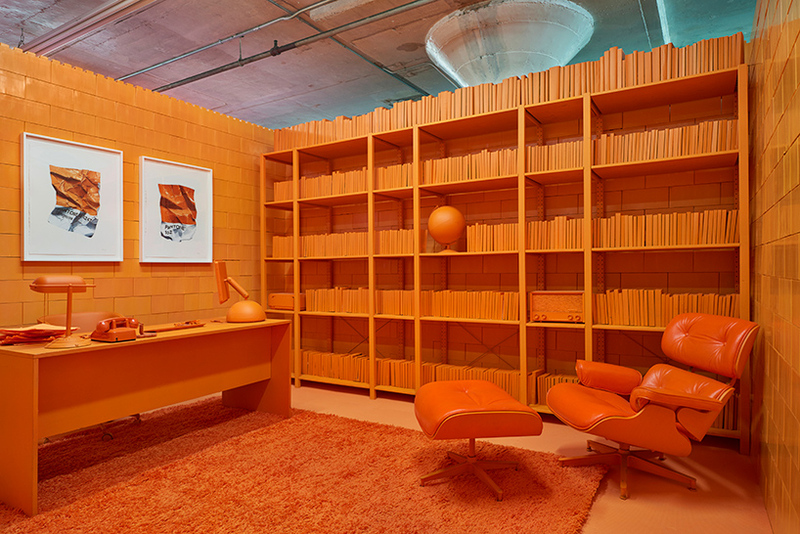 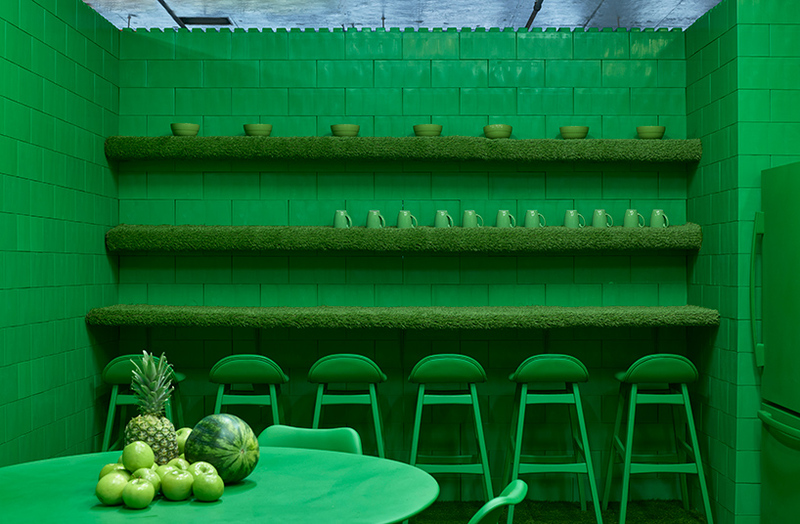 the faux-home sees every area of the ‘house’ pained entirely in one, monochromatic color. 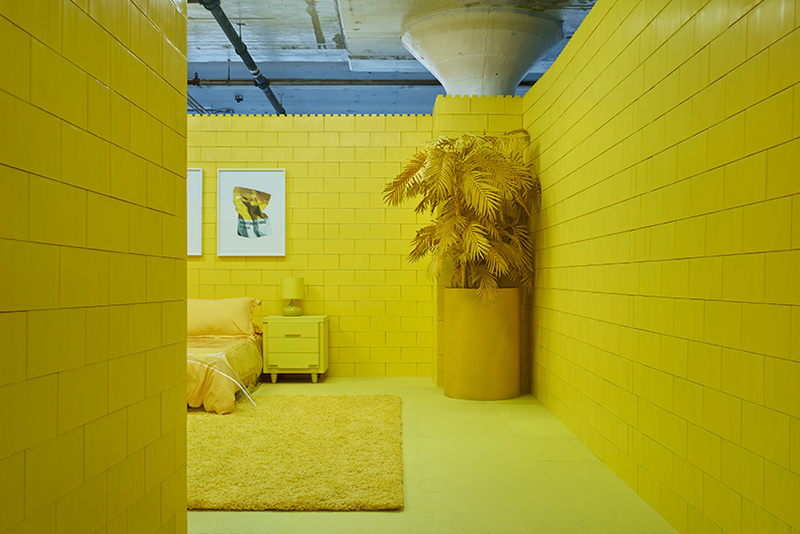 the spectacle — sure to make instagrammers swoon in seas of saturated bliss — is on view from april 5 – april 8, 2018 at 276 greenpoint ave.
the installation’s walls are made up of carefully-stacked everblocks, which create inhabitable, domestic spaces. 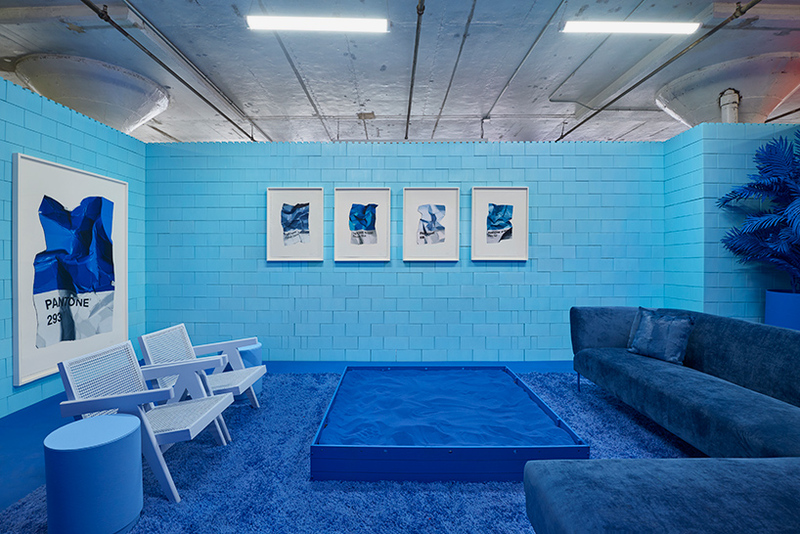 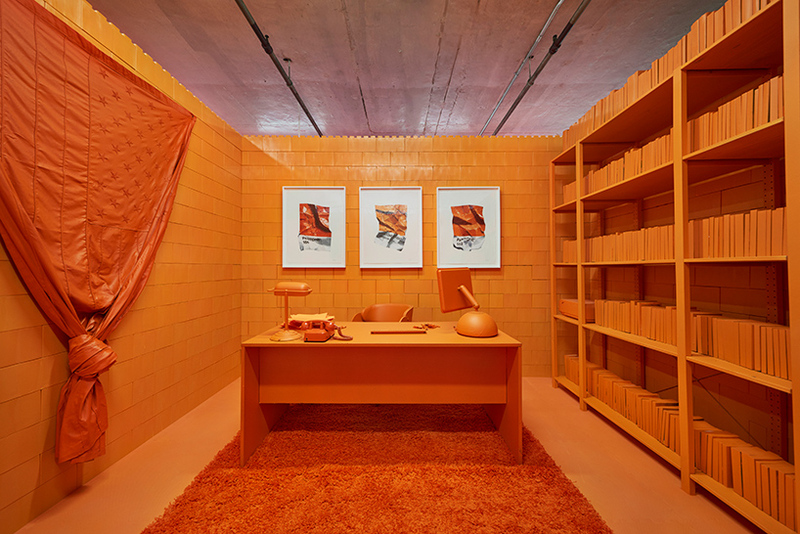 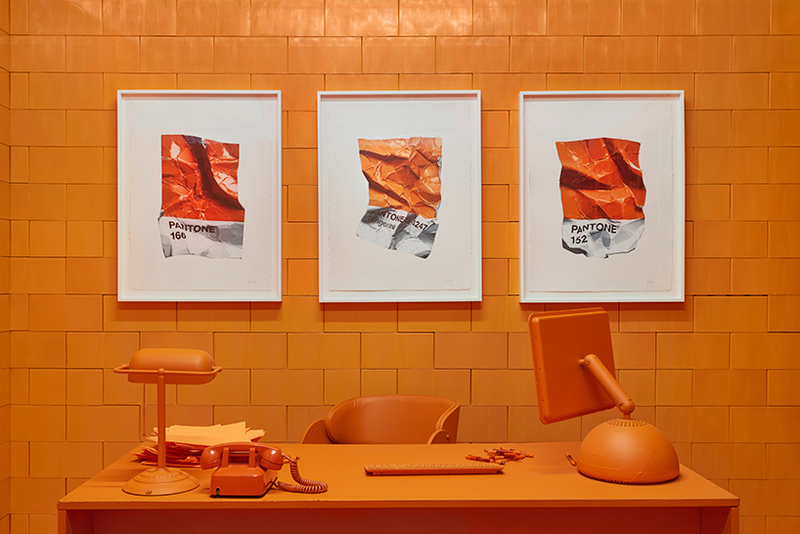 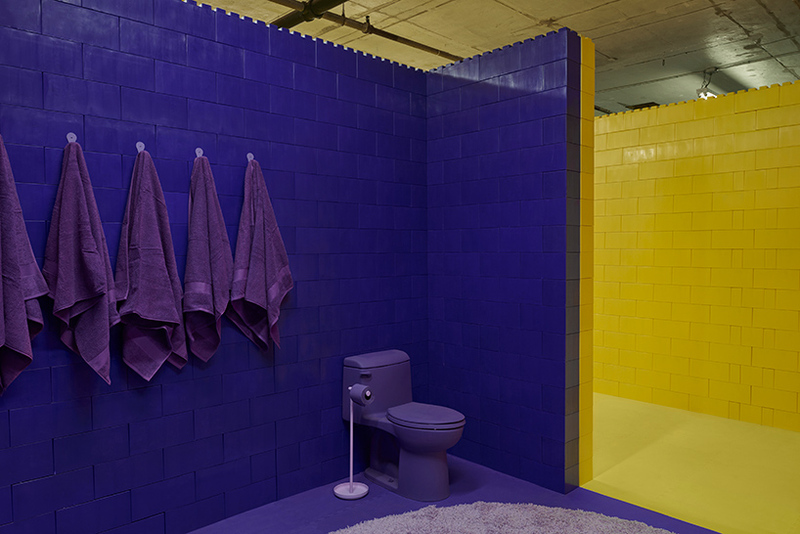 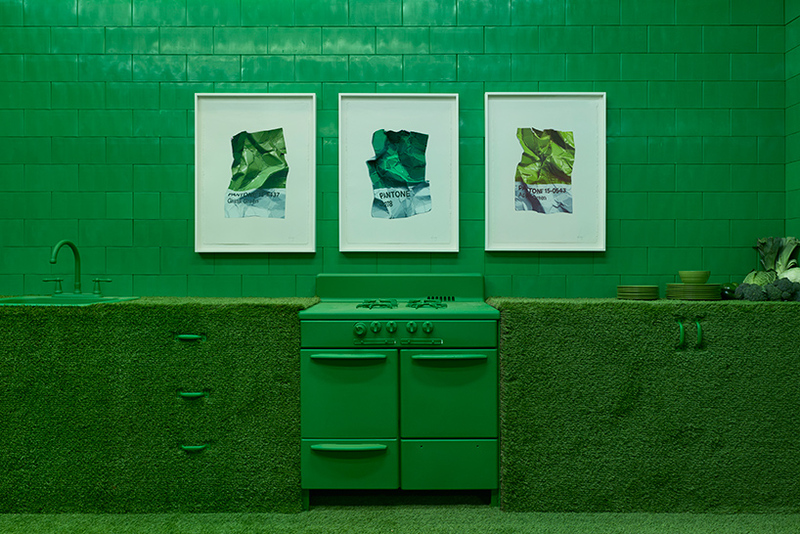 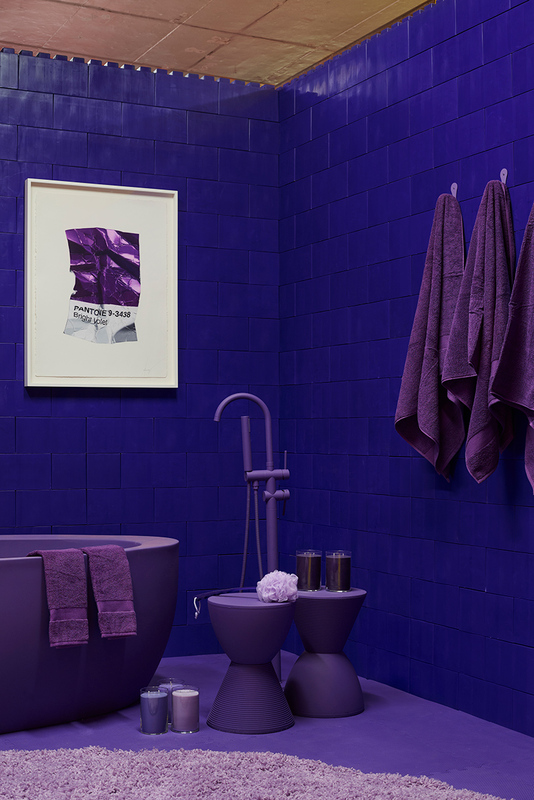 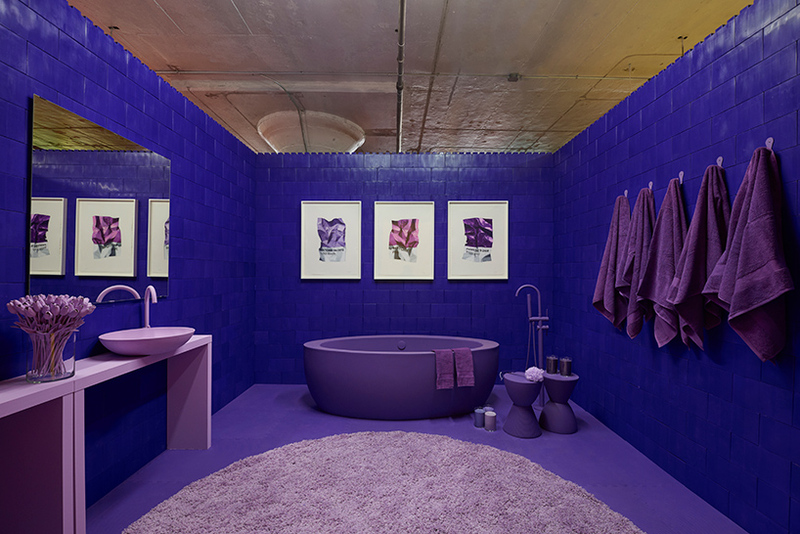 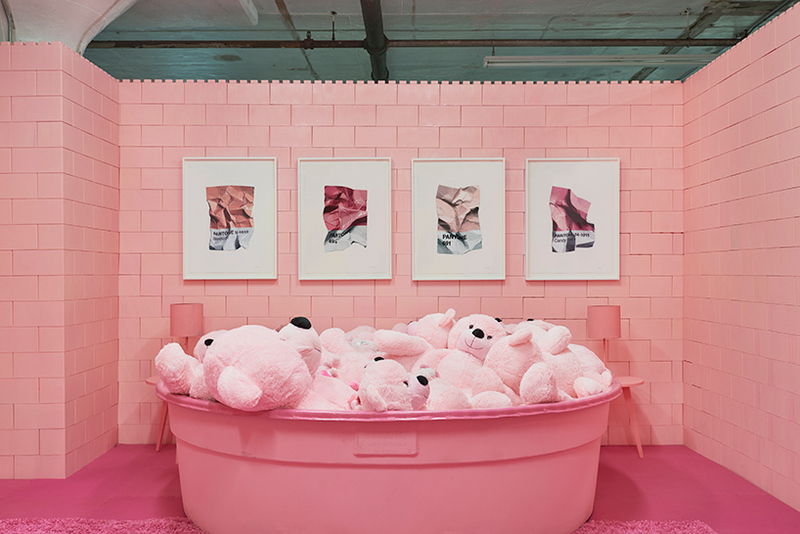 canvassed in hues of bright blue, green, pink, purple, yellow, orange and red, the rooms are painted to match CJ hendry’s hyperrealistic drawings of crumpled pantone color swatches.